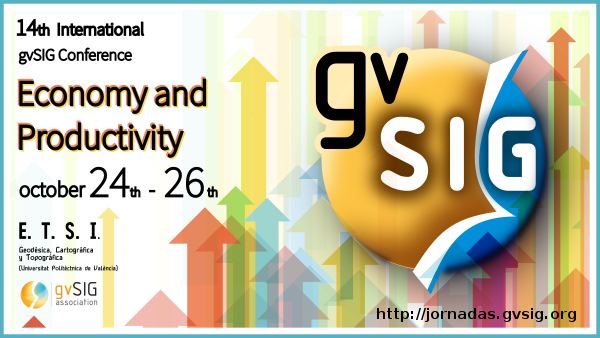 Registrations for free workshops at 14th International gvSIG Conference can be done from now. Conference will be held from October 24th to 26th at School of Engineering in Geodesy, Cartography and Surveying (Universitat Politècnica de València, Spain). Apart from the registration at the workshop, the registration to the gvSIG Conference must be done from the conference website. In addition, all the information about workshops can be consulted at the gvSIG blog, including what you have to install in case you have to take your own device. This entry was posted in english, events, gvSIG Suite, training and tagged 14th International gvSIG Conference, workshops. Bookmark the permalink.